The paper-badge is a circular text badge which is used to represent a status or notification. It is positioned at the top right corner of an element. 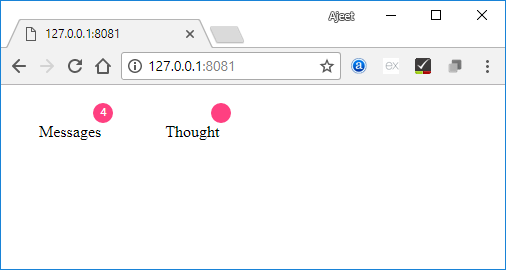 It can contain an icon by adding the icon attribute. To get the paper-badge and the icons in your directory, you should use the following two commands in the command prompt. 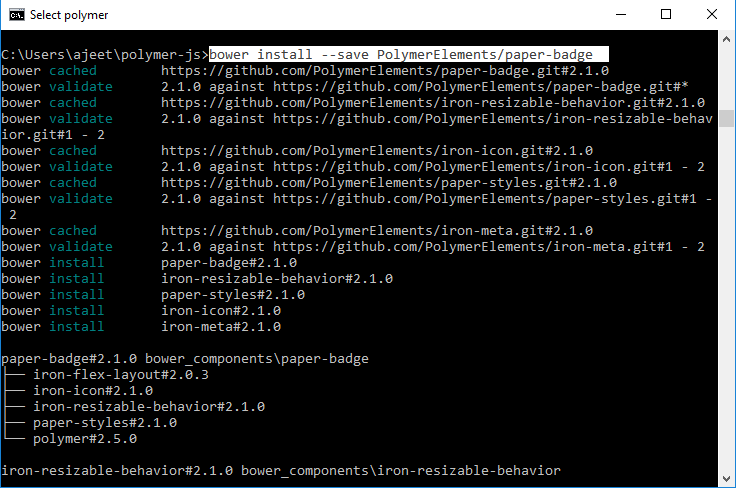 The following example specifies the use of paper-badge element in Polymer.js. Create an index.html file and add the following code in it.